It is humbling for me to see our organization reaching 53 years of age with nearly 260 memberships, an Environmental Center, energetic trip leaders and great speakers at our meetings. This is a tribute to our membership and our founder Robert B. Coyle. It is in Bob’s memory that the motivation to continue his legacy resides. Enthusiasm for the natural world and science-based discussions are the hallmarks of the Athol Bird and Nature Club. Whether looking at birds, dragonflies, wildflowers, rocks, moths or a darkened night sky full of constellations the soul of us all is tied to our environment. 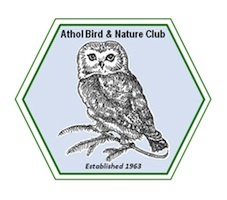 The Athol Bird and Nature Club is doing its part in educating our members and the general public supporting scientific research and management. This year ABNC was the fiscal sponsor of Ashley Green in developing a MAPS bird banding station in Warwick. MAPS is a long-term, continent-wide network of hundreds banding stations run by a non-profit bird observatory, the Institute for Bird Populations (IBP). There are hundreds of permitted banders and thousands of volunteers. The data collected on breeding landbirds provides critical information regarding ecology, conservation and management of landbird populations. During the 2017 season we are hoping to have banding demonstrations at the site and give people an up close and personal experience with birds and the work of our young scientist. The newest expansion of the club is the development of the “ABNC Geology Division”. Following an excellent presentation on “Diabase Rock of the Connecticut River Valley” by Paul Kachinsky, the enthusiasm for reconnecting to one of our base areas of interest exploded. Bob Coyle was after all a geologist first. The ABNC Geology Division meets at 7:00 pm on the 3rd Tuesday of the Month at the MREC. Check e-mail updates for special meetings and geology field trips which will begin this fall. Over the years ABNC has amassed a large collection of nature-related books. Under the leadership of board member Ann Spring we have digitally cataloged more than 1,200 volumes in our ABNC Library. We expect to have most of these books and videos available to loan to members this fall. Stay tuned as this exciting program develops. We hope you will continue to renew your membership and keep the Athol Bird and Nature Club going strong! Membership gives you access to dozens of free or low-cost events and activities throughout the year. In addition, your support helps us maintain the Millers River Environmental Center, its marvelous collections, and the meeting space it provides for numerous community groups. Visit our updated website atholbirdclub.org for information on our upcoming field trips and monthly speaker meetings. Since 1999, the operation of the Millers River Environmental Center has been a labor of love for many of us in the ABNC. We continue to depend on an all-volunteer effort. We are working hard with our many partners to keep our Center open to actively carry on our rich ABNC tradition. Recent projects include replacing ceiling panels in all the public areas, replacing flooring wall panels and painting walls in the accessible bathrooms. Plus the basement window panels have been replaced and are ready for stain. Thanks to Paul Goyetche, Joan and Larry Duprey, Ann Spring, Heidi Strickland, Bonnie and Al Benjamin, Joan and Max MacPhee, Shelley Small and others for the weekly assist. If you are interested in volunteering in any capacity, please write Dave Small at dave@dhsmall.net or call him at 978-413-1772.